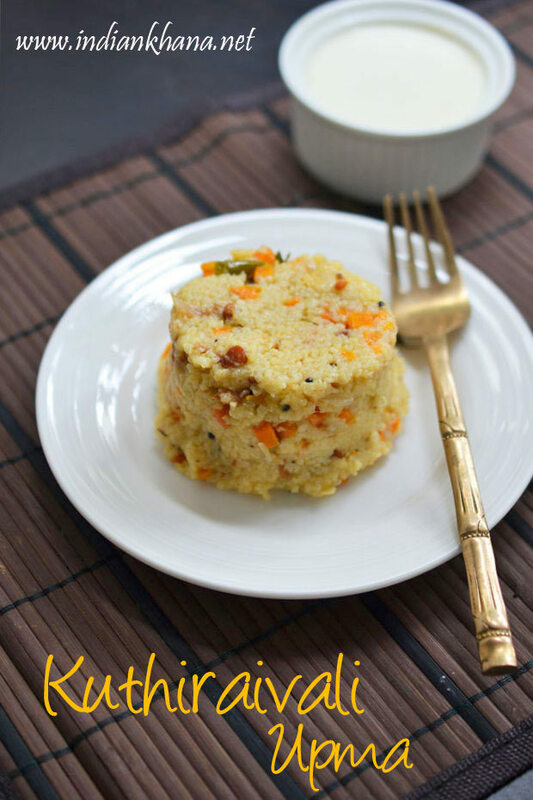 Replacing regular semolina/rava with millet is good option if you look for something healthy and more filling. 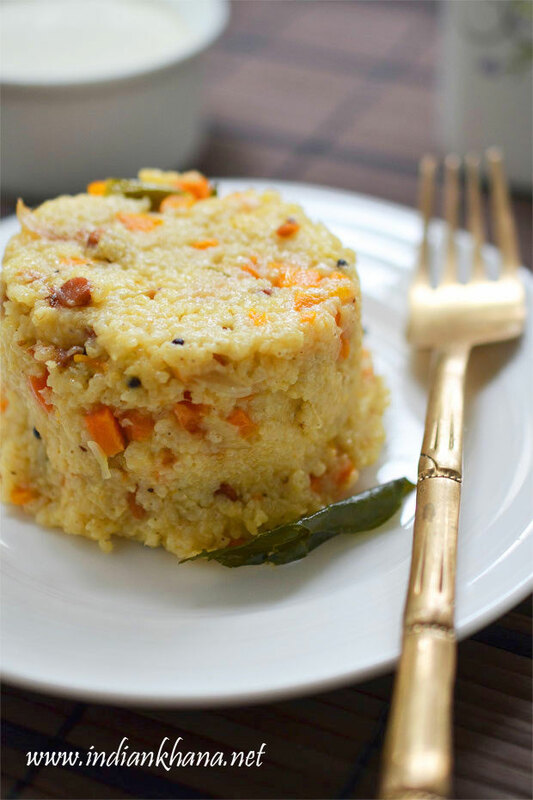 Millet upma is very easy to prepare just like regular upma only the water quantity changes other than that we can customize this upma for variations like making it without or with vegetables. You can also add peanuts or cashewnuts with tempering. I added just a small pinch of turmeric powder which is normally not needed in upma so you can ignore that and that's why the upma is not in white color. You can make this for breakfast, dinner or snack. Also you can do this for lunch box but this upma taste better when served hot or warm, so keep that in mind. 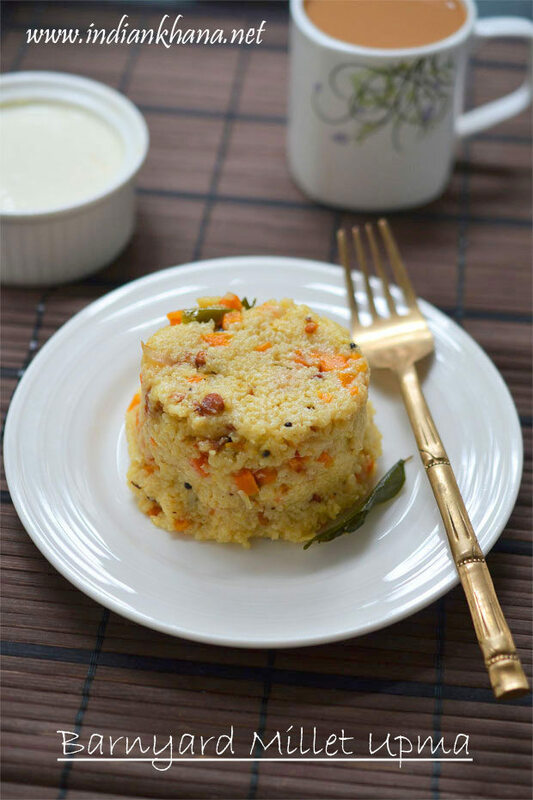 Vegan, glutenfree upma with barnyard millet, for heathly breakfast. Wash 2-3 times millets and keep aside. Slice onion, slit green chili, finely chop carrot. Heat oil in a kadai or pan add all items listed under 'For Tempering' and allow mustard to splutter, chana dal to become light golden brown. Now add onion, green chili, ginger and saute until onion becomes soft. Add carrot (use any other vegetable if you like) and saute for 2 mins in medium flame. Once carrot gets almost cooked, add water, salt, a pinch turmeric powder (if using) cover and bring water to good boil. Add washed millet and mix well, cover and cook for 8-10 mins or until all the water gets dried up. Serve hot, warm or cold with chutney, sambar or with just curd. I just added turmeric powder, you can totally avoid that. Add finely chopped any vegetable of choice or make it without any vegetable. 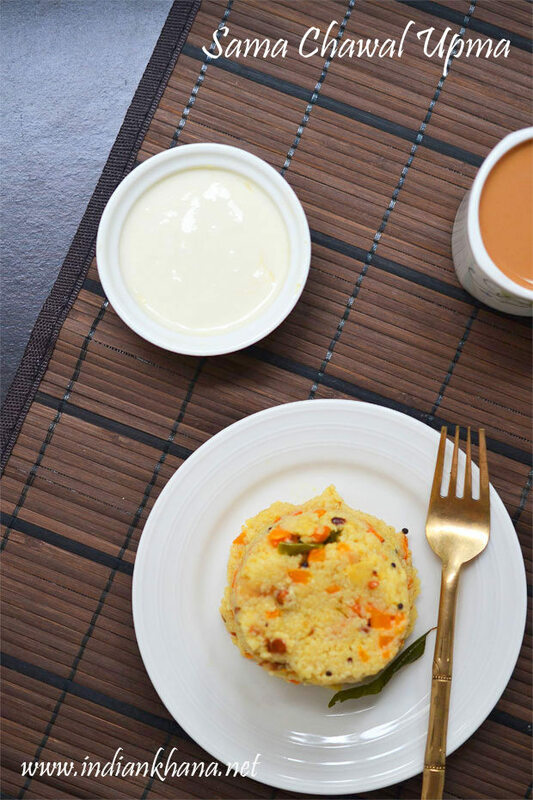 You can add grated coconut or lemon juice on top of upma before serving. 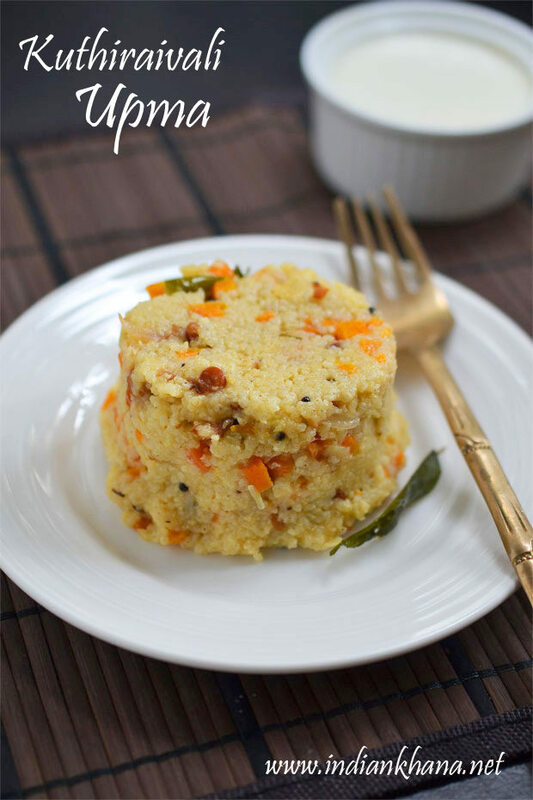 Easy and quick kuthiraivali upma.